Camps Bay Retreat offers views stretching across the ever-changing Atlantic Ocean and along the peaks of the Twelve Apostles Mountain Range, from the Deck House and The Villa. 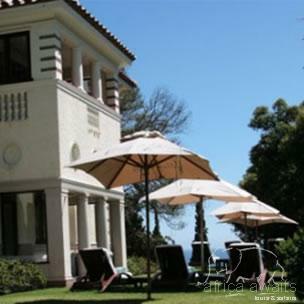 The estate has features such as two swimming pools, a tennis court, a wellness centre and a fine dining restaurant. 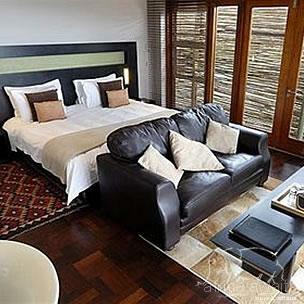 Choice of accommodation options from the elegant Earls Dyke Manor, the contemporary Deck House or The Villa. Elegant, yet opulent, and superbly comfortable, the Manor is a place to sink into and savour, or opt for the natural beauty that surrounds Deck House and The Villa, where trees and mountains give you a perfect excuse to indulge yourself for longer. There are a couple of things about a farm style kitchen that makes it special: Firstly, the fact that you will always be welcomed, secondly that it is normally where the "good stuff" is kept hidden or slowly simmering. All these hidden and simmering treasures are made with the utmost care and always in abundance, rounded off with "seasoned" timing in the Retreat Kitchen. You are welcome to visit Lizl the chef at any time, although the newly opened dining room wall now affords the viewer a peek into the kitchen’s soul. Sit back and feast your eyes on the action, including the odd flying pots and pans, all from the comfort of your dining room table. If you feel like you are being led down the garden path you can visit Sanet the horticulturist, who’s goal is to provide the kitchen with all the seasonal herbs and vegetables needed to make it a self-sustaining, real farm-style kitchen - with a “ lekka” South African twist. Although the flavours and tastes will be shouting South African, your feelings will say farm, family and feast, and all the associated comfort will enfold you in dishes such as oxtail, venison ragu, roast chicken or vegetable broth. The wine cellar, located at the entrance to the dining room. Wine racks swell with bottles of exquisite estate wines from local wine regions and can be appreciated from a tasting table within the cellar. Camps Bay Retreat has teamed with local wine partners to offer guests a remarkable wine list from a region known the world over for its quality produce. 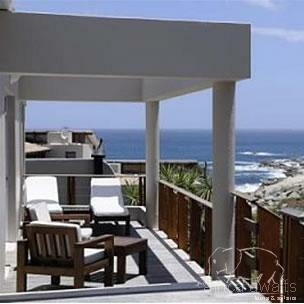 With your holiday, safari or business trip from in to Camps Bay Retreat in Cape Town.